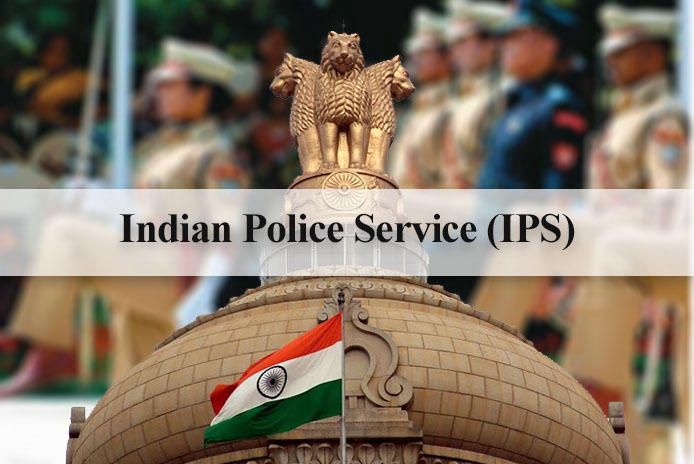 The Gujarat government on late Monday evening passed an order for the transfer of 31 IPS officers in the state, of which 5 officers got promoted to the rank of Deputy Inspector General (DIG). Other than the police commissioners of Rajkot and Vadodara, 6 range IG (Inspector General) and DIGs too were transferred. IPS Ajay Tomar, who recently returned from his deputation at the centre in the BSF (Border Security Force) has been promoted to the rank of DG (Director General) in the CID (Crime Investigation Department) Crime. DG Tirthraj of Law and Order was transferred to Human Rights Commission; Mohan Jha who is the DG of Administration has been made the head of prisons and has been replaced with his batchmate TS Bisht. The Police Communications ADG (Additional Director General) Sanjay Shrivastav has been given the charge of Law and Order. ADG Training K.K. Oza has replaced P.B Gondiya from SC/ST Cell, who has been given the charge of Home Guards department. V.M. Parghi, the ADG of Inquiry department has been moved to of Technical Services wing. ADG Shamsher Singh of State Crime Record Bureau has been given the charge of Arms Unit. Manoj Agrawal, the Prinicpal Secretary to the Home Department has been made the Police Commissioner of Rajkot. KLN Rao, the Sepcial Commissioner of Ahmedabad Sector 1 is now the ADG of Inquiry wing. Special Director to the ACB (Anti-Corruption Bureau) has been moved to Police Housing department. Ahmedabad City Traffic Special Commissioner Dr. Nirja Gotru Rao has been made ADG of Squad State Monitoring Cell of DGP (Director General of Police) Shivanand Jha. Vadodara Police Commissioner Manoj Shashidhar has been posted in Panchmahal range and will also take additional charge of GUVNL. Police Modernization IG Narsimha Comor has been made the Bhavnagar range IG. Junagadh range IG Dr. S Pandya Rajkumar has been transferred to the Surat Range and Rajkot Police Commissioner Anupam Singh Gehlot has been made the Commissioner of Police of Vadodara city. Joint Director of Civil Defense Khurshid Ahmed has been made Executive Director of GSRTC. Border Range IG Piyush Patel has been moved to Arms Unit in Gandhinagar. Bhavnagar range IG Amit Vishwakarma has been appointed as the Joint Police Commissioner of Ahmedabad Sector-1. IG Brijesh Kumar Jha of Panchmahal range has been made Home Secretary. S.M. Khatri , the IG of Coastal Security has been made the joint police commissioner of traffic and crime in Rajkot city. Vadodara Arms Unit IG SG Trivedi has been made IG of Junagadh range. Rajkot’s Joint Police Commissioner (Crime) D.S. Bhatt has been named as Additional Director of ACB. Surat city Sector-2 Joint Police Commissioner D.B. Vaghela has been made Border Range IG. Rajkot range DIG D.N. Patel has been made Additional Police Commissioner (ACP) of Surat Sector-2. Prisons DIG J. R. Mothaliya has been made the additional police commissioner of Ahmedabad city traffic department. Bharuch DSP Sandeep singh has been promoted and transferred as the DIG of Rajkot Range. Vadodara City Zone-1 DCP Gautam Parmar has been transferred to CID (Crime) Railways. Vadodara City DCP of Administration Sachin Badshah has been promoted to the rank of the DIG and transferred to CID Crime. Ahmedabad city’s DCP control room H.R. Mulyana has been promoted as the DIG of Surat city has been posted as traffic police crime superintendent.